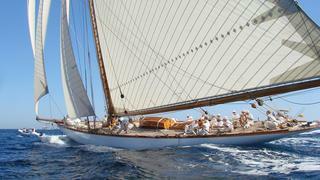 The 30 metre, gaff cutter Moonbeam of Fife III epitomises beautiful classic yachts at their finest. Launched in 1903, Moonbeam of Fife is still going strong on the classic yacht regatta circuit despite being more than a hundred years old. The William Fife-designed yacht is constructed in wood with an oak hull and superstructure, while her interior joinery is well-kept mahogany. The historical yacht Moonbeam of Fife III is currently for sale. Built by the renowned William Fife shipyard in Fairlie on the Clyde estuary in Scotland, Tuiga was commissioned by the Duke of Medinaceli, a close friend of the King of Spain, Alfonso XIII, and has had 10 owners in 106 years. HSH Prince Albert II decided to buy her in 1995. Tuiga has been participating in classic yacht regattas ever since and is now the flagship of the Yacht Club de Monaco, crewed by YCM members. The classic 42 metre twin-masted schooner Mariette of 1915 _was built by Herreshoff in the United States 100 years ago. 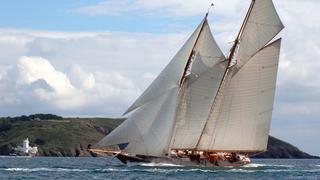 Age has not withered her, but _Mariette of 1915 has undergone a few refits in the Pendennis yard at Falmouth in recent years: in 2010 and again in 2012 in preparation for the Pendennis Cup, in which she took first prize in the St Petroc Traditional Class as well as being crowned overall winner. In 2014 she returned to Falmouth once more for minor works. 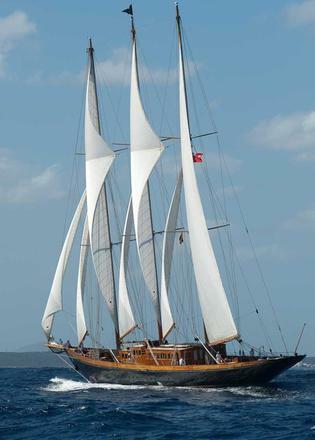 Now owned by the Gucci family, this beautiful wooden schooner has had a colourful history. Commissioned by wealthy American Alan Cochran and launched in 1927, Creole has had a number of different owners and also been called Vira. When she was known as Magic Circle, she was transformed into a minesweeper during the Second World War, having previously competed in a number of regattas and attended previous America’s Cup events. In the 1970s she was used by the Danish government for sailing training in the rehabilitation of drug addicts before being bought by the Gucci family in 1983. Arguably the world’s most famous J Class, Endeavour was the British challenger in the 1934 America’s Cup, but was beaten by the Harold Vanderbilt-owned Rainbow. Endeavour was commissioned by Sir T.O.M. Sopwith, who was keen to ensure that this yacht was the most advanced design possible. With his experience designing aircraft, Sopwith applied aviation technology to Endeavour’s rig and winches and spared nothing to make her the finest vessel of her day. She swept through the British racing fleet and into the hearts of yachtsmen around the world, winning many races in her first season. Though she did not win the America's Cup she came closer to doing so than any other challenger. Since 1934, she has often led a perilous existence, even being sold to a scrap merchant in 1947 only to be saved by another buyer hours before her demolition was due to begin. In 1984, American yachtswoman Elizabeth Meyer bought Endeavour and she was transformed and rebuilt by Royal Huisman. Endeavour sailed again on June 22, 1989, for the first time in 52 years. 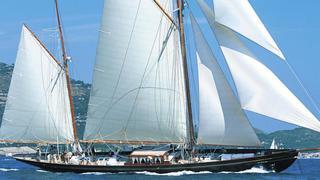 J Class yacht Endeavour is now for sale. Arguably the world’s most famous J Class, Endeavour was the British challenger in the 1934 America’s Cup, but was beaten by the Harold Vanderbilt-owned Rainbow. Endeavour was commissioned by Sir T.O.M. Sopwith, who was keen to ensure that this yacht was the most advanced design possible. With his experience designing aircraft, Sopwith applied aviation technology to Endeavour’s rig and winches and spared nothing to make her the finest vessel of her day. She swept through the British racing fleet and into the hearts of yachtsmen around the world, winning many races in her first season. Though she did not win the America's Cup she came closer to doing so than any other challenger. Since 1934, she has often led a perilous existence, even being sold to a scrap merchant in 1947 only to be saved by another buyer hours before her demolition was due to begin. In 1984, American yachtswoman Elizabeth Meyer bought Endeavour and she was transformed and rebuilt by Royal Huisman. Endeavour sailed again on June 22, 1989, for the first time in 52 years. J Class yacht Endeavour is now for sale. In 1910, Morton Plant commissioned 55 metre Elena to be designed by American naval architect Nathanael Herreshoff, the so-called “Wizard of Bristol”, who made his name designing sailing yachts for America’s elite. Plant's brief was to the point: he wanted a schooner “that can win”. Herreshoff gave Elena a slightly deeper keel than preceding designs of that time, lowering her centre of ballast, which improved her windward ability. Elena won most of her early races against the cream of the American schooner fleet and in 1928 came her crowning glory, victory in the Transatlantic Race. In 2009, she was rebuilt using the original plans for the first Elena. In 1910, Morton Plant commissioned 55 metre Elena to be designed by American naval architect Nathanael Herreshoff, the so-called “Wizard of Bristol”, who made his name designing sailing yachts for America’s elite. Plant's brief was to the point: he wanted a schooner “that can win”. Herreshoff gave Elena a slightly deeper keel than preceding designs of that time, lowering her centre of ballast, which improved her windward ability. Elena won most of her early races against the cream of the American schooner fleet and in 1928 came her crowning glory, victory in the Transatlantic Race. In 2009, she was rebuilt using the original plans for the first Elena. Originally designed by Charles Nicholson and built in 1899 at Camper and Nicholson in Gosport, England, Black Swan started life as Brynhild with a yawl rig. She won a number of races at the beginning of the 20th century, including the King’s Cup. Over the years, she has undergone several changes and different rig configurations, and at one stage she was renamed Changrilla. She was rechristened Black Swan in the 1960s and, today, after an extensive restoration project at the Beconcini yard in La Spezia, Italy, she is now carrying a gaff-rig, designed by the Faggioni Yacht Design Studio and built by Harry Spencer. 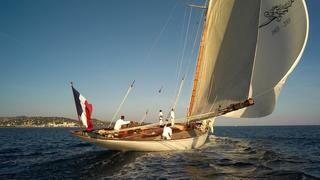 Another beautiful classic yacht from Fife, Mariquita was launched in 1911. The 38.16 metre sailing yacht was designed and built for the industrialist Arthur Stothert. As part of the 19 metre Big Class racing that re-emerged in 1911, this gaff-rigged cutter is said to have inspired the J Class yachts that came after her. She raced competitively against her brethren from 1911-1913, but by the 1950s, Mariquita was the last in the 19 metre class remaining. She was restored in 1991 and received a further refit in 2004. 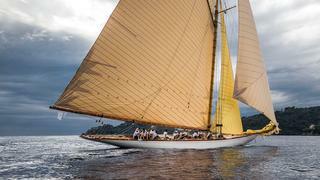 A star on the classic yacht racing scene, Mariquita is now for sale. 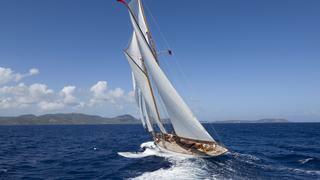 Another beautiful classic yacht from Fife, Mariquita was launched in 1911. The 38.16 metre sailing yacht was designed and built for the industrialist Arthur Stothert. As part of the 19 metre Big Class racing that re-emerged in 1911, this gaff-rigged cutter is said to have inspired the J Class yachts that came after her. She raced competitively against her brethren from 1911-1913, but by the 1950s, Mariquita was the last in the 19 metre class remaining. She was restored in 1991 and received a further refit in 2004. 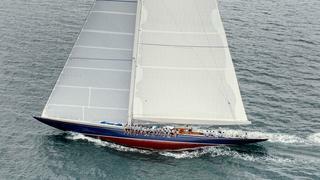 A star on the classic yacht racing scene, Mariquita is now for sale.